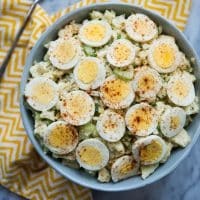 This Paleo and low-carb friendly Cauliflower “Potato” Salad is delicious, make-ahead friendly, and nobody will know it's a healthier alternative to the BBQ classic side! A sneak peek from my upcoming ‘Fed & Fit' book, you're going to love this roasted garlic cauliflower and Paleo ranch dressing-based veggie-filled dish. 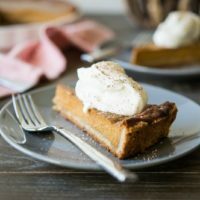 I've waited SO long to share this recipe with you! 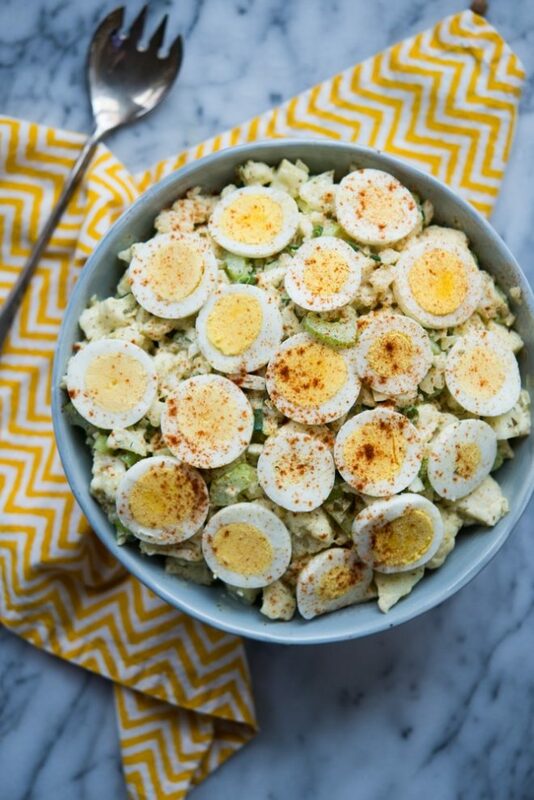 I've been making this cauliflower “potato” salad for YEARS as my healthy contribution to family BBQ pot-lucks. While I do eat my share of white potatoes (several times a week, actually), I still try to find creative ways to increase my healthy vegetable intake. 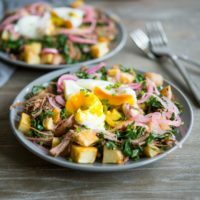 Swapping cauliflower for the potatoes in this classic recipe offers up a fun way to serve a healthy cruciferous vegetable while it's nicely disguised by a delicious, creamy, Paleo-ranch based dressing. 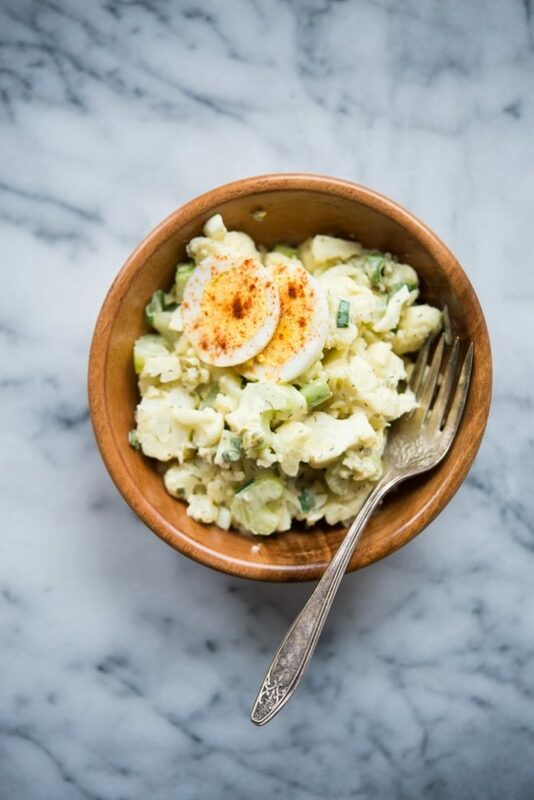 The potato salad I grew up eating was a mixture of boiled & chopped potatoes, crunchy celery, crisp green onion, and a salty dill pickle relish, all held together by a mustard and mayo-based dressing. 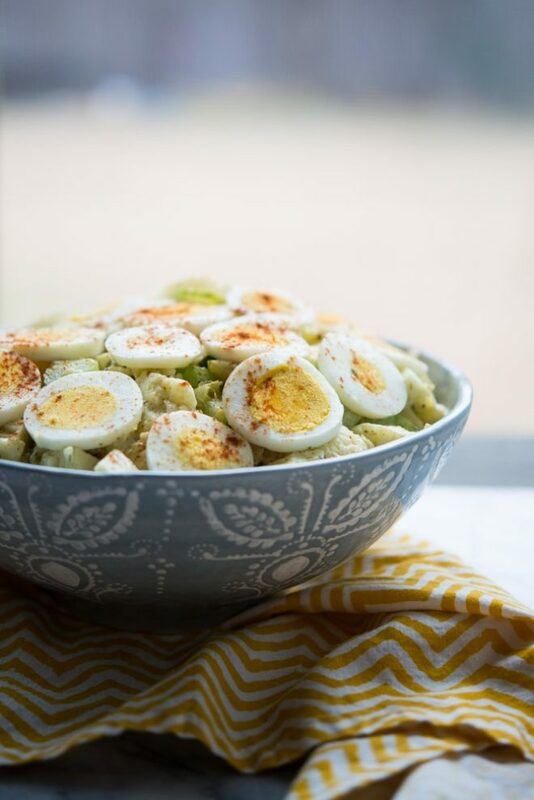 The bowl was always topped with slivers of hard-boiled eggs and dusted with a light sprinkling of paprika. It was THE BEST. My cauliflower-based adaptation involves a couple tricks, but I have to tell you that it's fooled more than just a couple friends and relatives. The way I chop and roast the cauliflower causes it to have a texture and shape similar to the potatoes. You must give it a try! In case you missed it, remember that you can watch my Facebook Live video of this Cauliflower Potato Salad coming together! I also made these Fresh Lime and Jalapeno Margaritas. Click HERE to see the video (it is in my Facebook feed). This recipe (plus 189 more) will be in my upcoming book, ‘Fed & Fit.' You can reserve your copy HERE! Preheat the oven to 375°F. Line a rimmed baking sheet with parchment paper. 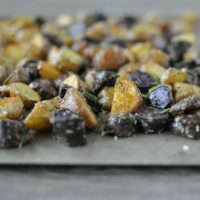 Toss the cauliflower florets in the olive oil, then spread them out on the prepared baking sheet so that no pieces are touching. Sprinkle with tops with the salt, pepper, and garlic powder. Bake for 45 minutes, or until the tops are starting to turn golden brown. Remove from the oven and let cool completely before assembling the rest of the salad. When the cauliflower is cool, place it in a large mixing bowl. Add the ranch dressing, celery, pickles, green onions, and mustard. Stir to combine until everything is well mixed and evenly coated with the dressing. To serve, spoon the salad into a serving bowl. Top with the hard-boiled egg slices, then sprinkle the paprika over the salad. Serve at room temperature or chilled. Leftovers will keep in the refrigerator for up to 5 days. If I’m using a powdered seasoning, other than salt and pepper, to flavor a veggie or protein headed to the oven, I like to sprinkle it on last. I’ve found that the salt and pepper have a harder time finding a place to stick if the food is already coated in another fine powder (like garlic powder, in this instance). 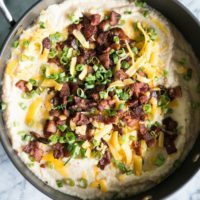 This is a great dish to make for a party! Make it the day before so you can just pull it out of the chiller before guests arrive. Made this tonight. My husband LOVED it! Thanks Cassy! Is it possible to use regular bottle ranch if we are not 100% paleo? Will that change the flavor drastically do you think?! Had this over the weekend and it was fantastic! This is a good appetizer for the start of the party! As for the eggs preparation, I would preferred it to be mashed and just mix it with the salads!